1323 16th Ave S, Birmingham, AL.| MLS# 812479 | Richard Jacks UABLIVING.com 205-910-2297 | Birmingham AL Real Estate | Contact us to request more information about our Homes for Sale in the Birmingham AL area. Charming move-in ready home in the heart of Southside. 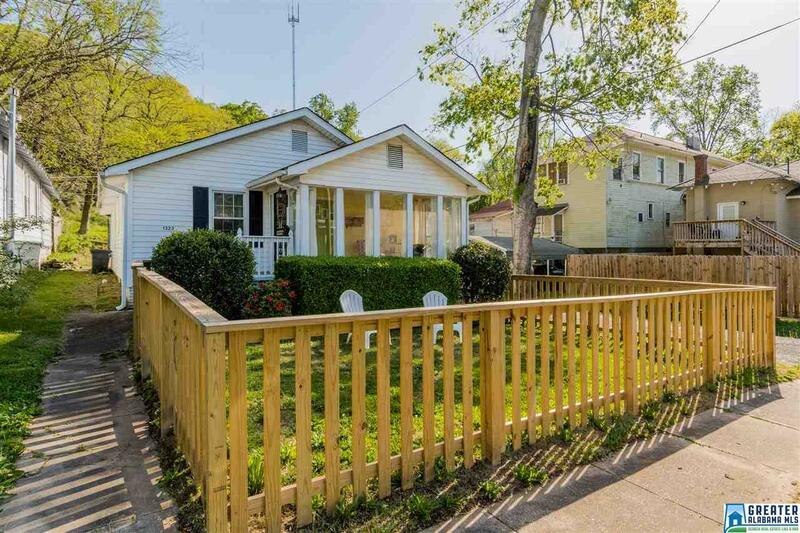 This home boasts flat front yard with new fence and beautiful curb appeal. You are welcomed with the large sunroom in the front with full length windows, new tile and new paint. Enter into the living room featuring beautiful stone fireplace, hardwood flooring and tons natural light. Kitchen includes all new stainless appliances, new countertops w/backsplash, plenty of newly painted cabinets, some glass front cabinets that add so much character, and more. Nice size master bedroom w/a full private bath and WALK-IN CLOSET, additional bedroom w/shiplap accent wall. Additional features include New water heater, additional sunroom off of kitchen in the back, large 2 car parking pad, plus storage building. Perfect location and you can walk to Dreamland and UAB! Driving Directions: 65 N From Hoover Take Exit 259/University Blvd. Turn Right On 13th St S. Left At 14th Ave S. Right On 13th Pl S. Left At 16th Avenue South.